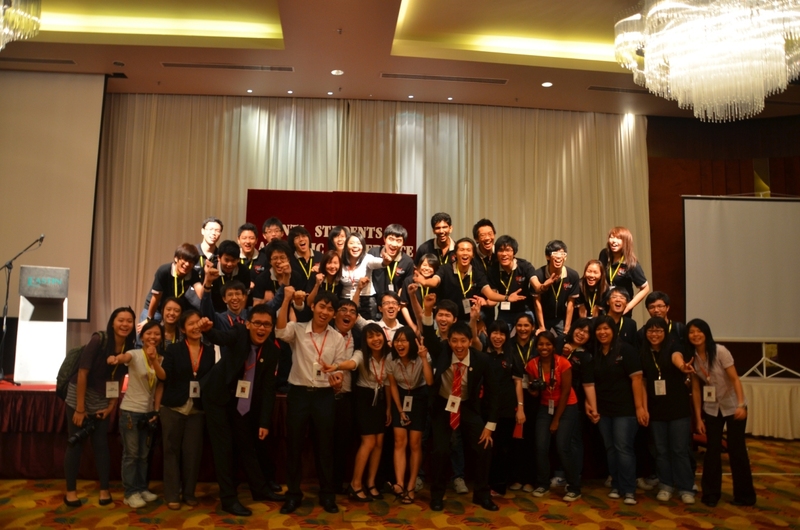 A passion to contribute ideas and initiate positive outcomes towards nation building has drawn dynamic and forward-thinking INTI students to Penang for the INTI Students Academic Conference (ISAC) 2011. Organised by dedicated students and staff of INTI International College Penang (IICP) as a platform to express ways to contribute to the economic and social development of the nation, ISAC originated as an annual intra-campus conference for IICP and has been expanded this year to include students from across the INTI network covering Penang, Kota Kinabalu and Kuching. Centred on participants’ research on the role and impact of education – and in particular, various academic fields – on national development, the two-day conference required participants to relate their findings with changes and improvements that can benefit future generations, while taking into consideration past achievements. It included round table dialogues and presentations on research papers. Organisers and participants of ISAC 2011 celebrate its success. Mak Xin Fang and Yap Min Yan from IICP were judged the best presenters with their topic “Nuclear Energy in Malaysia: Way to Success or Path to Destruction?”Their paper looked into the positive and negative effects of using nuclear energy as an alternative source of power, citing its relative reliability and reasonable price as well as threats and disasters such as the Fukushima nuclear reactor meltdown. The most innovative idea was proposed by Stivalen Anak Lepon of INTI College Sarawak on “Conception of a New Roadmap Based on E-Commerce to Grow the Rural Economy: Using Ulu Padawan as a Pilot Case.” It involved the use of technology to bring up the rural economy without disrupting the relationship between rural enterprise and its immediate social context. “ISAC is an effort by IICP and the participants themselves to instill awareness among students that national development is not solely the responsibility of the government but also of youth today, who are the leaders of tomorrow,” said Dr Michael Yap, Principal of IICP. The conference had not only created a buzz within the academic community but also among professionals in various fields. Nova Mulia Development Sdn Bhd was the main sponsor of the event and its representative and director Ms Annie Choo was joined by guest-of-honour YB Professor Ramasamy, Deputy Chief Minister of Penang, as well as Dr Yap, Dr William Wong, Principal of INTI College Sarawak and Ms Lim Tan Chin, Advisor for ISAC 2011 at the opening ceremony. ISAC 2011 was made possible by an outstanding committee that comprised of Ang Kevin-President, Nicholas Theng and Alfred Lim-Vice President, Eureka Foong-Secretary, Gooi Shuh Mien-Treasurer, Khoo Mei Sing-Transport & Accommodation, Teh Tict Chyn-Publicity, Tan Sue Wei- Marketing, Chew Jia Ying-Programme, Lim Ming Yi-Decor and Design, Tan Kai Xian-Registration and Prizes, Lim Seck Wei-Information Technology and voluntary helpers. As part of the INTI Education Group, IICP shares the Group’s mission of providing quality world-class career-focused education that will enrich every student’s intellectual, cultural and social perspectives. INTI is part of Laureate International Universities, the world’s largest private education network with a presence in 28 countries, with more than 60 accredited universities and 130 campuses, serving more than 650,000 students globally. For further information on INTI International College Penang, call 04-631 0138.